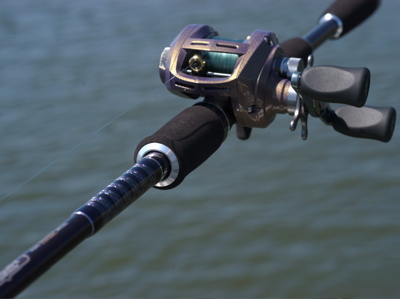 Introduction: In the US fishing industry, Daiwa is thought of more as a reel manufacturer than anything else. With their fishing rods, in particular, Daiwa has never really offered anything to distinguish themselves from the rest of the pack or have them mentioned favorably in the same breath as some of the industry leaders such as G.Loomis and St. Croix. Overseas, this is an entirely different matter. The fishing rod market is hotly contested within Japan and Daiwa reserves some of their most intriguing product for their home market. 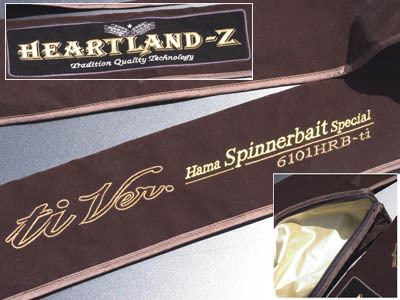 We take a look at one such offering, the Daiwa Heartland Z Hama Spinnerbait Special (HZ-6101HRB-ti). Impressions: Having the pre-disposed mindset of a more middle market offering when thinking of Daiwa fishing rods, it was quite the eye opener when we pulled our new, Heartland Z out of its brown velvet rod sleeve. While what we held before us was very similar in composition with what Daiwa offers in the United States, the final product was much more refined. The initial feel of the rod in our hands and the relative taper of the blank also felt much different to that which we've grown accustomed when handling US Market Daiwa rods. While their US offerings are typically more forgiving and light in power, this particular stick felt quite powerful in our hands. The Field Tests: The question of course was how would our initial impressions pan out on the water. It was quite natural for us to match up our new, purple Heartland Z rod with our irridescent Daiwa Alphas of the same color. For our actual spinnerbait tests, we threw a variety of baits but ended up using most often the Kanji Zen Spinnerbait: a spinnerbait featuring a compact design, tungsten head, and mylar skirt material. Casting & Pitching: Our translation of Daiwa Japan's "Magnum Taper" rating of this blank is a traditional fast to medium fast action. 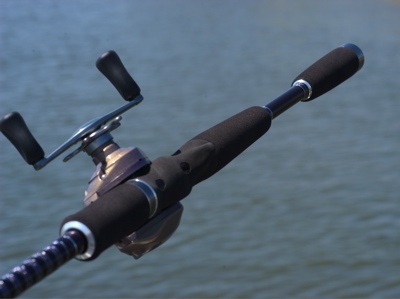 This action combined with the heavy power rating of the rod make for an extremely powerful combination. Casting and pitching for lures within its rated range was adequate but we found presentations more to our liking between the 1/2 to 1 ounce range. 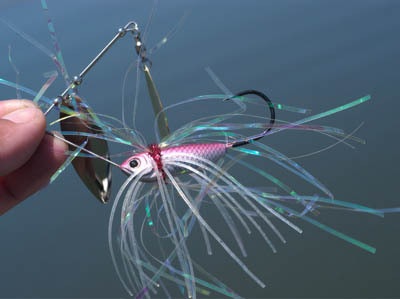 This rod is easily capable of handling lures above 1 ounce as well. In fact, we found in subsequent use of this rod post-tests is that it handles 1.5 ounce swimbaits maybe better than it does actual spinnerbaits!